Wat Mahathat and Wat Phra Sri Sanphet will appeal to history buffs. Escape the urban bustle at Chao Phraya River and Damnoen Saduak Floating Market. Change things up with these side-trips from Bangkok: Ayutthaya (Wat Yai Chai Mang Khon, Wat Chaiwatthanaram, & more), Amphawa Floating Market (in Amphawa) and Nativity of Our Lady Cathedral, Bang Nok Khwaek (in Bang Khonthi). There's still lots to do: contemplate in the serene atmosphere at Temple of the Golden Buddha (Wat Traimit), buy something for everyone on your list at CentralWorld, stop by MOONRIVER by VJ, and step into the grandiose world of The Grand Palace. For where to stay, reviews, ratings, and more tourist information, go to the Bangkok trip itinerary planner . Boston, USA to Bangkok is an approximately 23-hour combination of bus and flight. You can also do a combination of train and flight; or do a combination of bus and flight. The time zone changes from Eastern Standard Time (EST) to Indochina Time (ICT), which is usually a 12 hour difference. Plan for warmer temperatures traveling from Boston in December, with highs in Bangkok at 87°F and lows at 73°F. Cap off your sightseeing on the 30th (Sun) early enough to travel to Nai Yang. Step out of the city life by going to Gibbon Rehabilitation Project and Surin Beach. Relax by the water at Bang Tao Beach and Mai Khao Beach. For photos, traveler tips, reviews, and other tourist information, read our Nai Yang trip maker . Explore your travel options from Bangkok to Nai Yang with the Route module. In December, plan for daily highs up to 88°F, and evening lows to 73°F. Cap off your sightseeing on the 2nd (Wed) early enough to travel to Rawai. Wat Chalong and Holy Trinity Church in Phuket will appeal to history buffs. You'll enjoy a bit of beach vacationing at Nai Harn Beach and Kamala Beach. Change things up with these side-trips from Rawai: Phuket Town (Monkey Hill & Kayaking & Canoeing), Patong (Freedom Beach & Dress Men Fashion) and Scuba & Snorkeling (in Kamala). There's still lots to do: identify plant and animal life at KokChang Safari Elephant Trekking, play a few rounds at Phuket Golf Leisure, stroll through Karon Beach, and get great views at Karon View Point. Discover how to plan a Rawai trip in just a few steps with Inspirock's itinerary builder. Getting from Nai Yang to Rawai by car takes about 1.5 hours. In January, daily temperatures in Rawai can reach 89°F, while at night they dip to 73°F. Wrap up your sightseeing on the 8th (Tue) to allow time to travel to Chiang Mai. 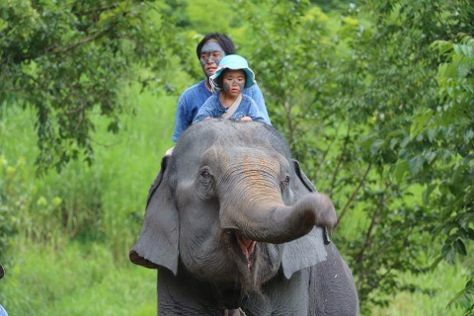 Explore hidden gems such as Thai Elephant Home and Zipline. Get some historical perspective at Wat Phra Singh and Wat Phra That Doi Kham (Temple of the Golden Mountain). Get out of town with these interesting Chiang Mai side-trips: Doi Inthanon (in Doi Inthanon National Park), Maeklang Elephant Conservation Community (in Mae Wang) and Mae Rim (Maesa Elephant Camp & Elephant POOPOOPAPER Park). And it doesn't end there: look for all kinds of wild species at Elephant Care & Grand Canyon Jumping, take in the spiritual surroundings of Wat Umong Suan Phutthatham, take in the architecture and atmosphere at Orthodox Church of St. Vladimir, and admire the striking features of Wat Chiang Man. To see maps, traveler tips, and other tourist information, read Chiang Mai trip planner. You can do a combination of taxi, bus, and flight from Rawai to Chiang Mai in 4.5 hours. Other options are to do a combination of taxi, ferry, bus, and flight; or drive. Traveling from Rawai in January, Chiang Mai is little chillier at night with lows of 62°F. Wrap up your sightseeing by early afternoon on the 15th (Tue) to allow enough time to travel back home.